Panelists discuss what makes a good translation. How literal does it need to be? What culteral markers do and do not translate? How does the translator capture the author’s voice yet still keep the work comprehensible to an audience that doesn’t speak the original language and may not be familiar with the culture in which the author lives/lived. Editors will discuss all the things authors shouldn’t do if they want to be published. For instance, submission guidelines exist for a reason. And no matter how brilliant your story is, threatening the editor will reduce the probability that it will be published to zero. Capclave is lucky to have a number of small press publishers as program participants. The folks from Prime Books, Wyrm Publishing, and others talk about their upcoming projects . Worldcon is this week in San Jose. I’ll be arriving sometime late Wednesday evening and returning home on Tuesday. I do not have a table in the dealer’s room, but the SFWA table will have a few copies of both Clarkesworld Year Nine volumes and some of the other dealers will have my Night Shade Books anthologies. Magazine and book editors will discuss how they scout and promote authors from outside the U.S. and U.K., sharing their expertise and best practices. How can writers and editors make the best use of resources such as Lavie Tidhar’s WorldSF Blog and Rachel Cordasco’s SF in Translation site? What would make it easier to find, publish, and publicize world speculative fiction? I’ll also be in the Dealer’s Room at the Clarkesworld table during the open hours I’m not otherwise scheduled for. I’m a Special Guest at Balticon this year! How can one survive on their own in the wild, ever-changing world of genre publishing? Hear some stories and advice from people who have! What makes a cover eye-catching? How might different audiences interpret the same imagery? Our panelists will go through the design process. 12pm – Are Advances in Technology Making Spec Fiction Harder To Pull Off? Is it possible for writers to keep up with the rapid pace of technological development? Can we we “future-proof” the challenges our characters face so there won’t be an “app for that” by the time the book comes out? A panel of professional editors and publishers answer questions from the audience. In the traditional model, an author is paid per book sold. How has crowdfunding changed the way writers work and publish? Editors share tales of some of the gems they’ve received, and give advice on how to avoid becoming fodder for future panels like this. Agents and editors discuss trends in submissions. Anthologies offer an excellent opportunity for writers to get their work out to new readers. Writers and editors discuss where to look for submission opportunities, how to write to a theme, and tips on catching an editor’s eye (for the right reasons). I’m still working out what I’ll do on the 16th. I’m told I really need to see the Great Wall while I’m there, so maybe that will land there. I also have to set aside some time to buy a few things for my family. Current finalists and past finalists and winners discuss what the awards means to them and the place of short fiction from small presses in the genre. 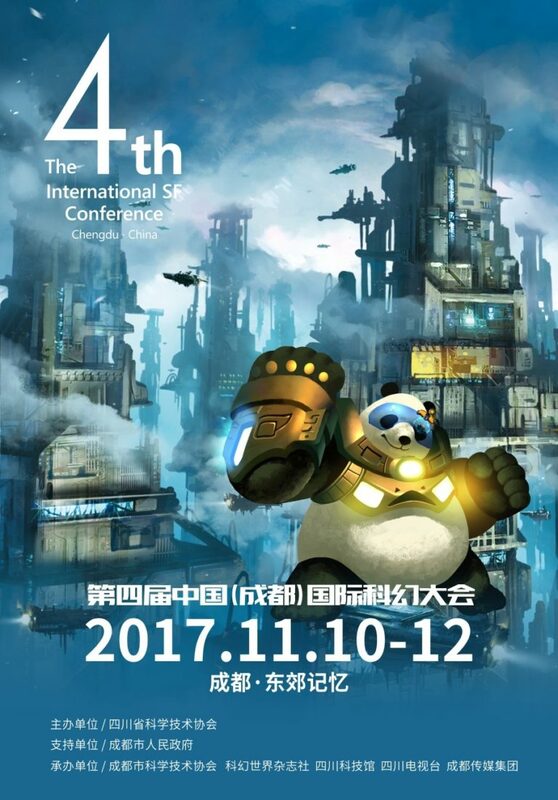 Guest of Honor Neil Clarke and Ken Liu discuss Clarkesworld’s commitment to publishing Chinese science fiction and fantasy in translation, including how the stories are chosen, interaction with the authors, and general audience reception to the project. Sam Lubell, the head of the WSFA Committee to Actually Discuss SF/F will moderate a discussion with audience participation, of the current issue of Clarkesworld as well as a discussion of which stories over the last decade have particularly stuck with people. So you have a fabulous idea or product and a shortage of funds – what do you do. Panelists will discuss successful and unsuccessful crowd funding campaigns, either their own or those of other people. Topics include how to set reward levels, how to budget how much money you need and the merits of various crowd funding sites such as Kickstarter, Indiegogo and Pozible. Panelists talk about the work of editing short fiction, keeping things interesting and on-pace and making sure all the elements of a good story are in place when there are only so many words to work with. So many short stories start out well but end abruptly or just trail off, leaving the reader to wonder, what’s the point. Why does this happen and how can writers avoid this fate? How do you determine your endings? Is a twist ending a cheat?